« I’ll Tell You But Only Because You Can’t Come Rob Us. O.M.G!!!!!! That looks crazy painful! Did you get it checked out? I can’t believe how swollen it is. Hey Kim — it’s ok. Less black and blue today and I was even able to put on my “uniform” shoes today. Ya know — so my peeps will still recognize me. Okay..Elevate, Ice and Wrap. That looks almost as bad as my pinkie. It’s really, really not as bad as it looks. I even put on normal shoes today. Swear. 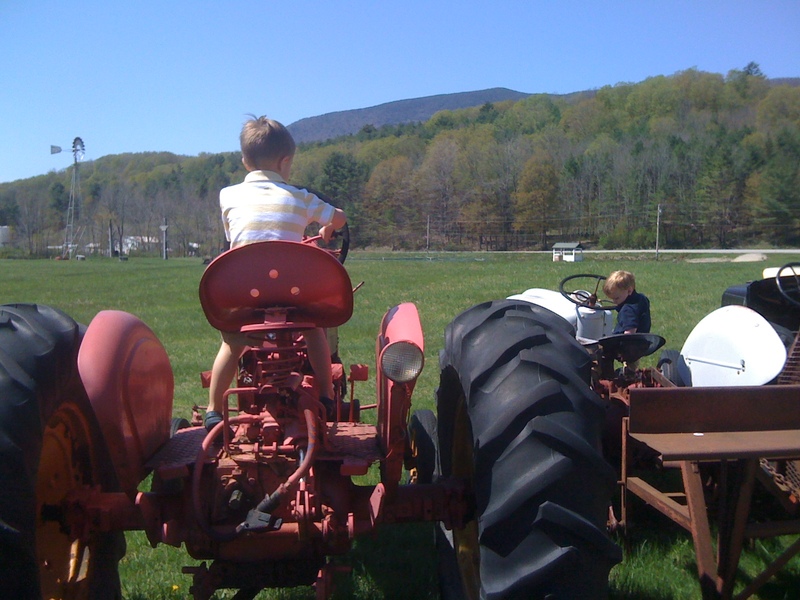 Love the boys on the tractors!